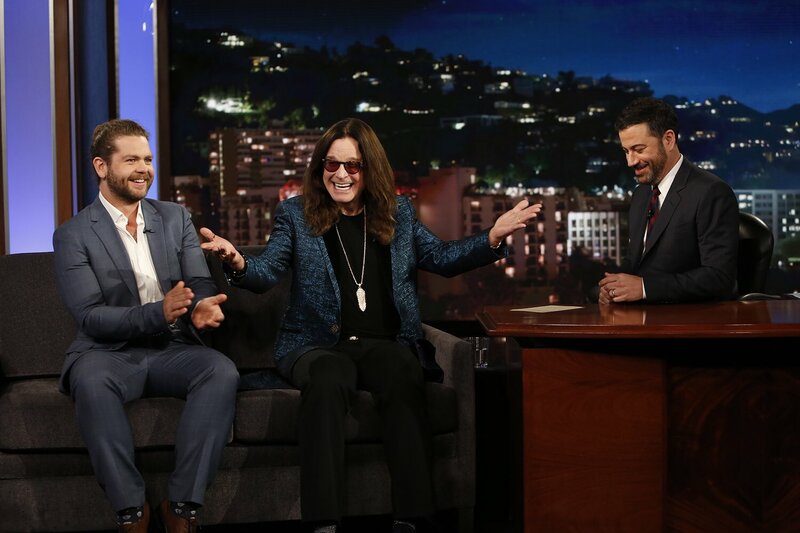 Ozzy Osbourne and his son Jack were among the guests on ABC-TV’s Jimmy Kimmel Live on the program’s July 26 broadcast. The pair were on hand to promote the July 24 launch of their new History channel series, "Ozzy & Jack's World Detour." The 10-episode series sees the rock legend and his son tour the world to visit a bucket list of iconic and historically significant spots that includes Mt. Rushmore, Stonehenge, Roswell, The Jamestown Settlement and Sun Studios, and a hit list of some fascinating sights and people that they've read about. Among the stops was a return visit to The Alamo, where Ozzy had been banned for decades after being arrested in San Antonio, Texas in February 1982 for urinating at a monument near the landmark dedicated to the lives of soldiers killed in the 1836 Texas Revolution. “I found out that I didn’t pee on The Alamo, after all,” says Ozzy about the episode. 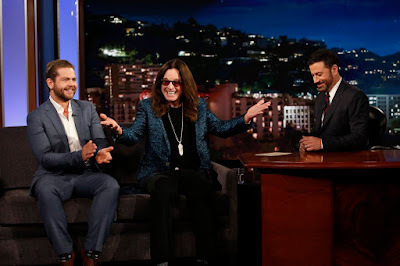 “I remember some Mexican guy saying to me, “I don’t know what the problem is; we pee up The Alamao every night,” adds Ozzy. Osbourne and Black Sabbath will launch the final series of North American shows on their current farewell tour at Nikon at Jones Beach Theater in New York on August 17. The band will play a series of dates in Latin America late in the year before beginning a final 8-show UK/Ireland run early next year.